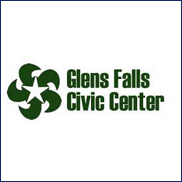 GLENS FALLS (CelebrityAccess) — The city of Glens Falls has announced that they are putting the Glens Falls Civic Center on the block for a public auction. With the auction set for sometime on or around August 18th, the city is asking for a minimum bid of $1.5 million for the 5,000 seat venue. The buyer would be required to honor the city's current lease with the Adirondack Flames hockey team and the venue's management contract with Global Spectrum. According Scranton Times-Tribune, the most recent appraisal, conducted in October of last year, valued the civic center at $1.895 million.